Liz Moore was featured in the February 2015 issue of the Virginia Peninsula publication, The Oyster Pointer. Liz was interviewed as part of their "Oyster Point Profile" feature. Click here to read the full story. 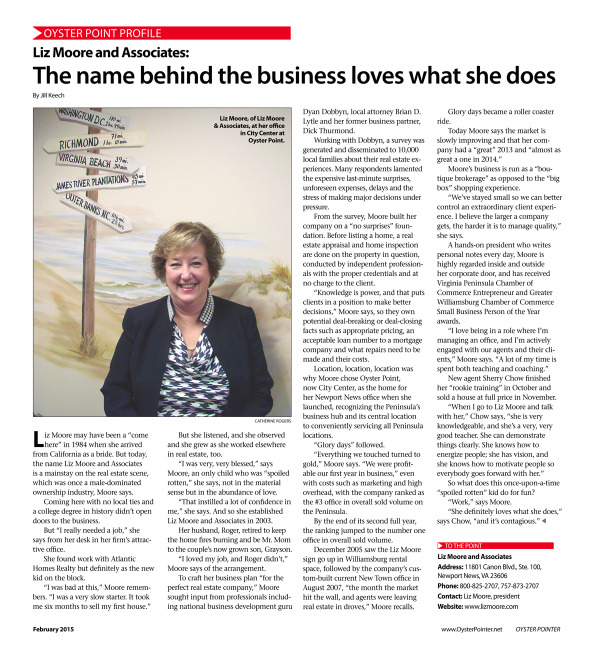 Are you interested in learning more about Liz Moore & Associates? Click below to read the Liz Moore story.